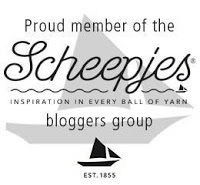 Last week I let you in on my Scheepjes Whirl* project. You can read more on my thoughts about this yarn here. The Whirl* yarn has a super soft hand, never splits, and has incredible drape. I think I've got a new love! And did you check out the other available colors*? Like I said last post, this is a color that is typically so NOT me. But somehow the warmth of this Caramel Core Blimey color is really pleasing to me. It feels so natural, and so understated. Can you believe the gradient? I began by just working some simple dc with a little detailing at the corner--and a bit of filet detail. Actually the filet detail became too "detailed" as I worked round after round and I actually frogged most of. Keep it simple, Sue. I am really going for something clean and relaxing to work without a lot of counting and fiddling. I think that's been achieved, because I'm really enjoying the project so far. 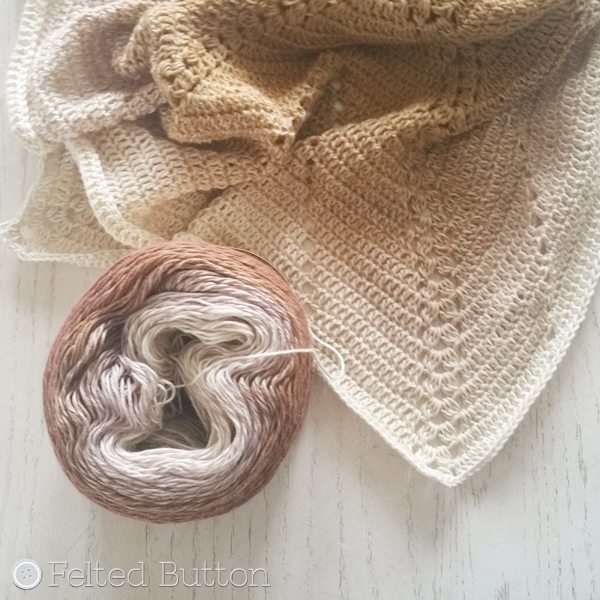 The rest of the project will end with the darker brown which I think will finish it off beautifully. And I realized that you could use a second cake and just continue on repeating these rounds to make the project a lot larger starting with the outside and working to the inside of the next cake. My idea for this one is small and portable, however, so one cake will be perfect. I'll tell you why small is the goal when I share the project reveal next week! Stay tuned for the free pattern soon, too. I'm off to work on a "squirrel" project that came to me as I was walking through Target the other day and had a little burst of inspiration resulting in me setting aside the other two projects I have underway to get playing with this new idea. Goodness me!! My crazy brain!! You can keep in touch with me and all the Felted Button happenings--and when this new free pattern is available-- by following on Facebook here or Instagram (@FeltedButton) here. *This post contains affiliate links. 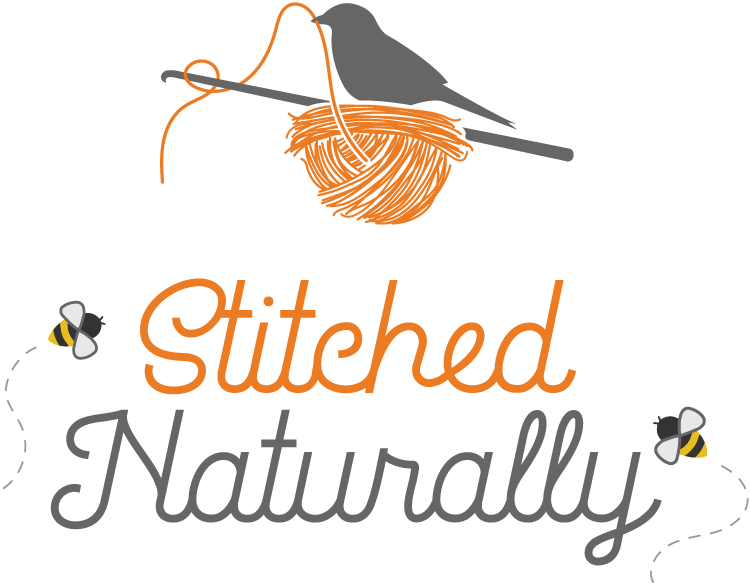 By using them, it costs you no more, but allows me to keep the blog running and provide you with more free patterns. 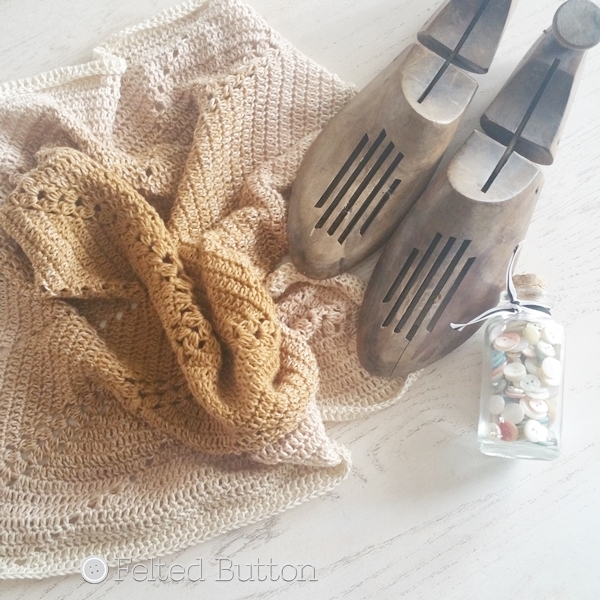 I live in USA and am having a hard time finding this caramel color yarn. Me, too! I recommend Wool Warehouse. They are in the UK but ship inexpensively and quickly. If you click the *links arrive it will take you there. Thanks!